It is a black day indeed. 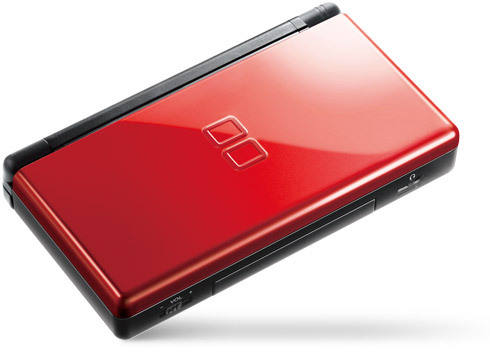 According to Nintendo the DS has now sold over 125 million units, surpassing the Game Boy's 118.69 million. 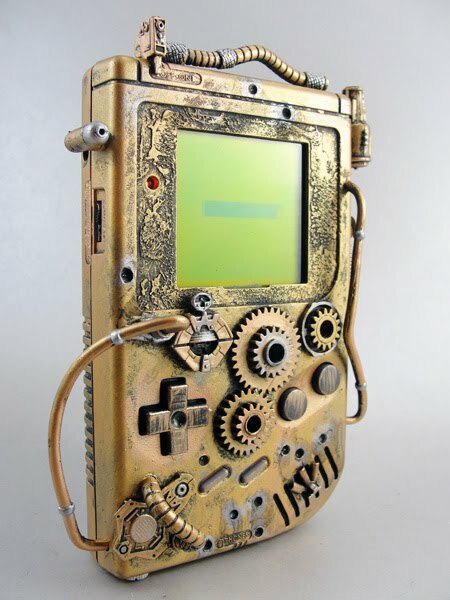 Of course, it took 20 years for a handheld to even come close to the Game Boy. I think what this little factoid really shows is the current state of gaming. When the Game Boy was selling, gaming was still a predominately youthful affair. These days gaming has become an acceptable sideline for adults as well as children. DS sales are also helped by people like "Steve" who think 'Gotta catch em all" applies to DS games. Finally it has turned up! The Calculator Boy has been found and documented. 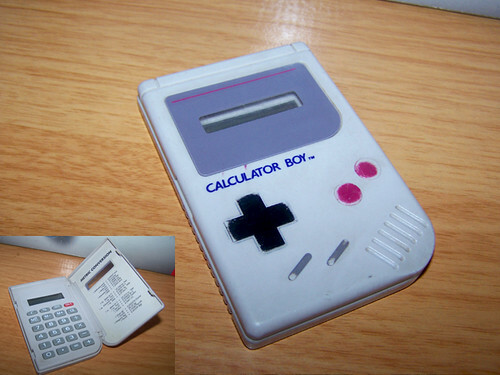 I wish I had one of these when I was doing long division in 3rd grade... Heck I want one now! Also, note that it's trademarked!? I see no signs of Nintendo branding, but that doesn't mean it's not official... Who knows what's on the back? All I know is that with this, 2+2=FUN! Game Boy modder and chip tune musician Thretris has created a new Game Boy case mod. This is quite a departure from his usual case mods, which are usually just new paint jobs (but really nice paint jobs). Attention has been payed to every detail here. My only complaint, and this is the complaint I have with most steampunk stuff, is that I wish all the gears and such looked like they actually did something. Despite that, this is one hell of a mod. Keep an eye out on ebay for this sucker. Felix The Cat slabbed and overpriced on eBay! So one of the top 10 rarest Game Boy games is on eBay, factory sealed and slabbed by that horrible video game grading company, the VGA. What's inside the box? Nobody really knows! It could be a Game.com game, rocks, or maybe nothing! Who knows? Nobody, because it's slabbed. Oh yeah, and it's grossly overpriced at just under $700.00. You pay even half that for this, you're a CIB idiot. 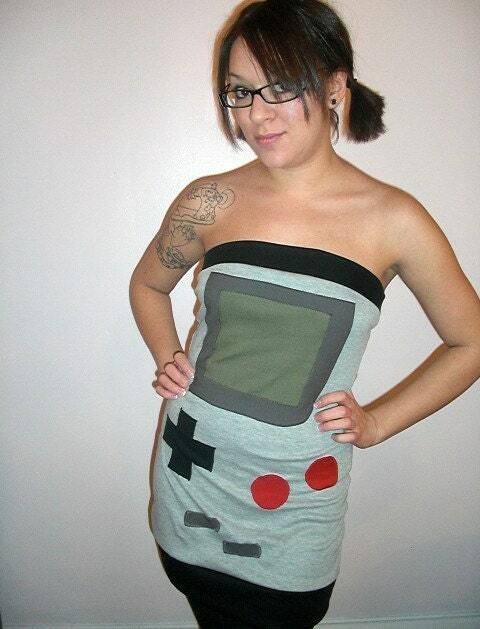 Game Boy Dress - Girls are no longer icky! Etsy user SewOeno has created what must be the world's greatest dress. It's about time is all I have to say. Those over 5'5" need not apply. Finally! After far too long we finally have a web site worth a damn. Look for a major amount of additions to our content in the days ahead.